Categories: Building Owners, Contractors, Contractors News, Energy Management, Energy Management News, Meters/Sensors, Meters/Sensors News. Keywords: energy management, metering, Submetering. New low cost and wireless metering solutions are creating unique opportunities for contractors seeking to expand their business model. Access to real-time energy monitoring can open the doors to substantial energy savings for your customers and recurring revenues for you. In order to take action to reduce energy usage, owners and operators need to know how energy is being used in their buildings. Our metering and submetering guides will show you how to best generate these deep energy saving opportunities. Categories: Building Owners, Contractors, Latest News. Keywords: energy efficiency, energy management. As a part of the Obama Administration’s effort to support greater energy efficiency through the Better Buildings Initiative, the U.S. Department of Energy and the National Institute of Building Sciences (Institute) have released the new Better Buildings Workforce Guidelines. The Better Buildings Workforce Guidelines, developed with feedback from industry experts, will help enhance and streamline commercial building workforce training and certification programs. 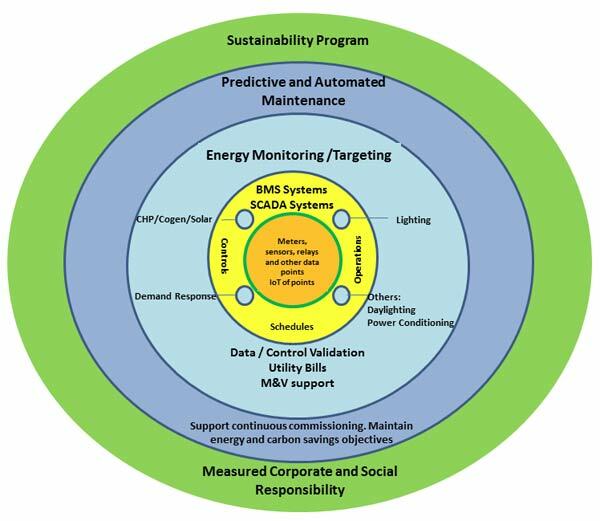 The Department of Energy responded to these challenges by working with the National Institute of Building Sciences (NIBS) and industry stakeholders to develop the Better Buildings Workforce Guidelines, voluntary national guidelines to improve the quality and consistency of commercial building workforce credentials for four key energy-related jobs: Building Energy Auditor, Building Commissioning Professional, Building Operations Professional, Energy Manager. In addition, industry stakeholders were engaged for feedback on the Federal Facilities Manager job description, with a focus on implementing the Federal Buildings Personnel Training Act. Categories: BAS/BMS, Building Owners, Building Owners News, Contractors. Keywords: energy efficiency, energy management. Class B office buildings are known for being old, no-frills and off the beaten path. What they are usually not associated with is energy efficiency. While landlords of Class B buildings find it difficult to recoup what they spend on green features from their tenants, energy savings can be significant, analysts say. And with mounting pressure from city officials on landlords to make their buildings more energy efficient — under the threat of possible punishment if they do not — similar properties are expected to do the same soon, analysts add. “It took a long time for the market to shift, but it’s happening,” said Dana Schneider, an energy specialist and a senior vice president with the Jones Lang LaSalle commercial brokerage. APF Properties, a New York-based firm focused on Class B buildings, recently completed the bulk of an eco-friendly makeover of 28 West 44th Street, a 22-story, 370,000-square-foot prewar building it owns with Prudential Real Estate Investors. Many of the improvements to the 1919 building, which for decades housed The New Yorker magazine near Fifth Avenue in Midtown, have received approval from multiple agencies. Putting in low-flow toilets, for instance, has helped the building, which is also known as the Club Row Building, cut water use by 25 percent, according to APF. Motion sensors were added to hallways so lights shut off automatically. Those measures have helped the building receive high scores from the Energy Star program, which monitors utility use and is overseen by the Environmental Protection Agency. Also, this summer, 28 West 44th Street received a rare gold-level rating from the Leadership in Energy and Environmental Design program, or LEED, which is run by the U.S. Green Building Council. A point-based system that mainly ranks various green retrofits, LEED liked that the building had replaced fluorescent bulbs with versions that consume less power. The gold rating, which is LEED’s second-highest behind the platinum rating and was made in the full-building category, was also based on APF’s turning a storage area in the lobby into a bicycle room, which contained 10 bikes on a recent afternoon. That custodial crews use nontoxic cleaning solvents when mopping the floors helped. Recycled paper products also counted, as did the Energy Star plaudits. Some critics say LEED ratings overstate green bona fides by assigning too many points for access to public transportation; that overweighting is especially problematic in Manhattan, they add, because so many buildings are close to subways anyway. The fact that most tenants commute to 28 West 44th Street without driving partly accounted for 16 out of 110 points. Berndt Perl, an APF managing member, has made other moves that were not required by LEED, but are likely to lower energy use, like replacing hinged doors in the lobby with a revolving door, so less heat escapes. Still, Class B buildings receiving any of the four LEED ratings, certified, silver, gold or platinum, number about a half-dozen in the city compared with about 80 Class A buildings with some type of LEED ranking, according to the Building Council. Class B offices that are gold are a slightly more select group. They include 1440 Broadway, a 25-story Midtown building that received the award in 2013; 498 Seventh Avenue, a brick high-rise at West 37th Street in the garment district; and 345 Hudson Street, a former printing plant in Hudson Square owned by Trinity Real Estate. No Class B’s have platinum status. Landlords have not always had strong financial incentives for green renovations, analysts say. Mr. Perl, who bought 28 West 44th Street from SL Green Realty Corporation in 2011 for $161 million, said he had spent $9 million on renovations, $1.5 million of it for environmental upgrades. But asking rents in that building, whose tenants include the City University of New York, have not really budged beyond $55 a square foot, he said. “Right now the kind of tenants we attract, small- and medium-sized, don’t really care about paying more for LEED,” said Mr. Perl. He has solar panels at his home in the Hamptons and uses solar power to heat his pool. “We do this because we believe it makes the world a better place,” he said. In more prominent Class A properties, rents can reflect a premium, up to 15 percent, according to Ms. Schneider of Jones Lang LaSalle, who has been instrumental in the renovation of the Empire State Building. About a fifth of its $550 million has gone to green improvements, like insulating 6,514 windows. “A lot of times people think that it’s hard to make these old buildings green, but they actually have the capability of being much more efficient than newer buildings” with large windows that may leak more heat, she said. Renovating offices does pose some singular problems. Ripping down walls can expose contaminants like lead and asbestos, said Richard Paradis, a director of the National Institute of Building Sciences, a nonprofit group that focuses on retrofit projects. And, removing ceiling panels to let in more daylight, another common goal, can result in rooms that are noisy, he said. “It’s all a balance,” Mr. Paradis said. Next year, the city will issue new standards for buildings to help them cut their emissions by 80 percent by 2050. The standards, which will be written by more than a dozen people from the real estate industry, including developers, engineers and architects, will function like a road map. Landlords will be given a set of phased goals, tailored to certain types of buildings, which will allow them to arrive at the 80 percent goal. Part of a push by Mayor Bill de Blasio to curb fossil fuel use, the plan seems to have more teeth than previous efforts, because the goals will be mandatory. And, the city will enforce them, possibly through the Department of Buildings, according to Daniel Zarrilli, director of the Mayor’s Office of Recovery and Resiliency, which was formed this year. But Mr. Zarrilli added that it is much too soon to know if enforcement would include fines. Building Department violations can lead to fines. Acknowledging the cost of such renovations, including for Class B landlords who may have less capital than their Class A counterparts, the mayor will also start programs like Retrofit Accelerator, which will offer technical assistance and advice on where to find financing. via Manhattan’s Second-Tier Office Buildings Make Energy Efficiency a Goal – NYTimes.com. Categories: Generation, Storage, Storage News. Keywords: EE News, energy efficiency, energy management. At nearly $1.3 trillion in estimated global revenue for 2014, the market for advanced energy products and services is as large as apparel and fashion and almost four times the size of the semiconductor industry worldwide, according to a report commissioned by Advanced Energy Economy (AEE), a national business association. In the United States, advanced energy market revenue grew 14% last year – five times the rate of the U.S. economy overall – to just under $200 billion, making it bigger than the airline industry, equal to pharmaceuticals, and nearly equal to consumer electronics in this country. Also, the market for advanced energy products and services in the U.S. grew 14% in 2014 — five times as fast as the economy as a whole — capping a four-year increase of 38% over 2011. Categories: BAS/BMS, BAS/BMS News, Meters/Sensors, Meters/Sensors News. Keywords: controls, energy management, sensors. Newswise — Regulating comfort in small commercial buildings could become more efficient and less expensive thanks to an innovative low-cost wireless sensor technology being developed by researchers at the Department of Energy’s Oak Ridge National Laboratory. Buildings are responsible for about 40 percent of the energy consumed in the United States. Studies indicate that advanced sensors and controls have the potential to reduce the energy consumption of buildings by 20-30 percent. Collecting data such as outside air and room temperature, humidity, light level, occupancy and pollutants is currently cost prohibitive, whether the information is gathered by inexpensive conventional sensors that must be wired, or by using today’s expensive $150-300 per node wireless sensors. ORNL’s new wireless sensor prototype could reduce costs to $1-10 per node by leveraging advanced manufacturing techniques such as additive roll-to-roll manufacturing. This process enables electronics components like circuits, sensors, antennae, and photovoltaic cells and batteries to be printed on flexible plastic substrates (base materials). The nodes can be installed without wires using a peel-and-stick adhesive backing. “If commercially available at the target price point, there would be endless application possibilities where the installed cost to improve the control of energy-consuming systems would pay for itself through lower utility bills in only a few years,” Hughes said. The ultra-low power smart sensors collect and send data to a receiver, which can capture data from many different peel-and-stick nodes and provide the information to the energy-consuming system. The more information received, the better the building’s energy management. Both new construction and retrofitted buildings can benefit from ORNL’s smart sensors. “This technology provides the information that enables ongoing continuous commissioning, fault detection and diagnosis, and service organization notifications when needed, ensuring optimal building system operations throughout their service life,” said ORNL’s Teja Kuruganti, principal investigator on the low-cost wireless sensors project. ORNL is currently in negotiations to establish a cooperative research and development agreement with a premier international electronics manufacturer to make the low-cost wireless sensors commercially available. This project is sponsored by DOE’s Building Technologies Office in DOE’s Office of Energy Efficiency and Renewable Energy. Caption: ORNL researchers are experimenting with additive roll-to-roll manufacturing techniques to develop low-cost wireless sensors. ORNL’s Pooran Joshi shows how the process enables electronics components to be printed on flexible plastic substrates. via Innovative, Lower Cost Sensors and Controls Yield Better Energy Efficiency.